You’ll be “improvising your way through this combat dance” according to executive producer Marty Stratton. 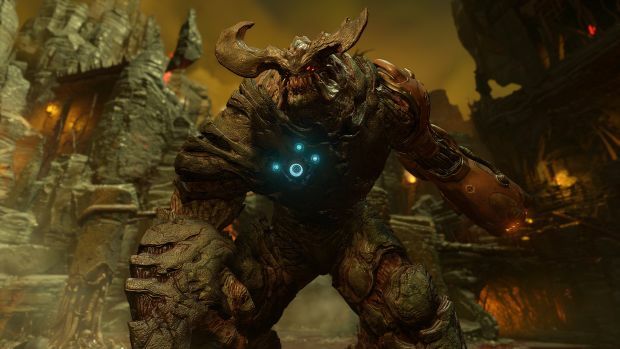 Executive producer Marty Stratton for DOOM believes that the new giant spaces and the verticality add to the overall replay value of the game, and allow players to improvise their approach when it comes to fighting enemies. Though the E3 2015 demo showcased quite a lot of gameplay on the ground floor, there are other ways for players to take on enemies. “You can play that very differently, you can actually use some of the verticality to get height on the demons and fire down, and wait for them to traverse and try and catch you – and then jump back down. DOOM will be out on PS4, Xbox One and PC in Q1/Q2 2016.